aMember has a ConvertKit integration built directly into their product! For questions about how to use it or get access, contact their customer support team. 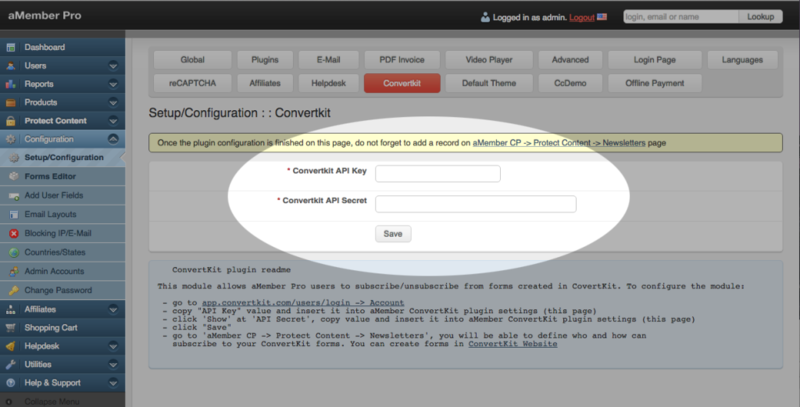 Add your ConvertKit API key. Go to 'aMember CP > Protect Content > Newsletters. 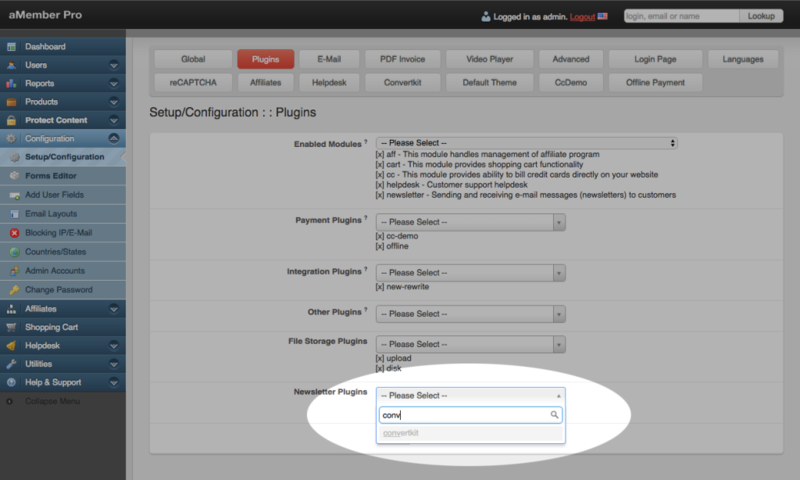 You will be able to define who and how can subscribe to your ConvertKit Forms from there!